Can you give me a reliable broker? but am afraid of which broker to register with. Can you suggest a site about Forex brokers? Where I can really do some search and get answers? 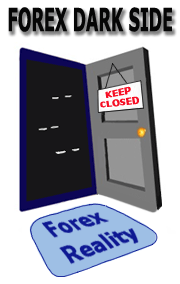 They feature hundreds of Forex brokers with constantly updated content and a useful search tool. Submitted by Beginner Trader on Wed, 10/29/2008 - 16:44. Are there reputable businesses that will invest your money in Forex for you? Submitted by Forex Tutor on Wed, 10/29/2008 - 16:49. To give any serious recommendation, one should use such services first. None of us did it; therefore, unfortunately, we can't suggest anything here. Submitted by OLUCHI TREASURE on Tue, 04/14/2009 - 10:28. Submitted by Beginner Trader on Wed, 04/29/2009 - 11:47. Submitted by Forex Tutor on Thu, 08/06/2009 - 03:02.